Rare find! This is a beautiful home in Crescent Lakes with stunning landscape, cul-de-sac lot, and updates throughout. On the main floor you will find all wood floors in the living spaces and bedrooms, Mission Style cabinetry, gorgeous, high end plantation shutters, updated, high end light fixtures, vaulted ceilings in the living room, new granite countertops in the kitchen, a separate main floor laundry room, and great cabinet space in the kitchen. Not only does the kitchen have great cabinet space and new granite, but all appliances remain, there is a garden window at sink, and much more. The master suite is a dream with a large bedroom, vaulted ceilings, wood floors, a private bathroom with double sinks, a walk-in closet, and a door leading to the backyard oasis. The viewout basement features new carpet, two additional bedrooms, a third full bathroom, and two separate, large storage rooms. The two car garage has great storage space within and even a great workshop/storage space. This yard is a must see! Home is situated on a large .40 acre lot with great landscaping, large deck, separate second deck area, a sprinkler system, and an irrigation well. 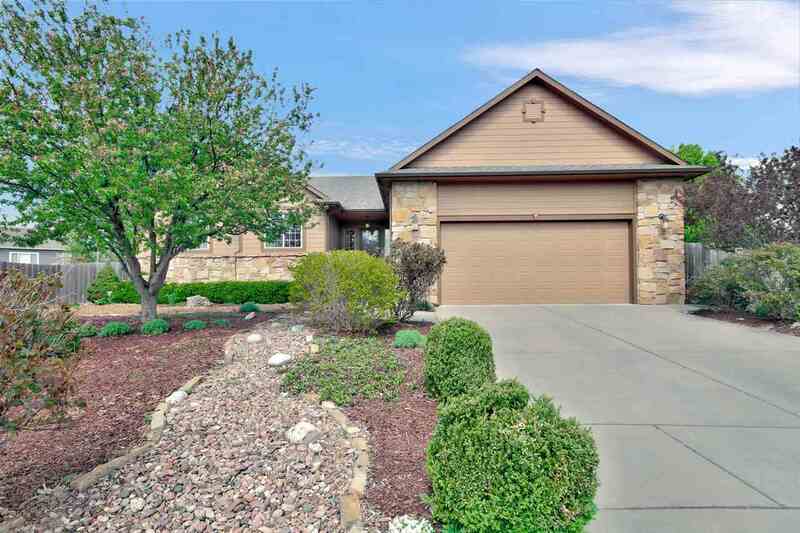 Home is within walking distance to Andover Central schools, the city park, neighborhood pool, and community playground. Truly unique opportunity to own a house like this in Andover with low total specials!